This is the twelfth HBW book, written in 1925 and printed by Appleton. 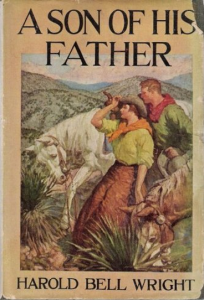 It is a story set in Arizona ranch land promoting honesty, hard work, and integrity. Such stories seem like ancient history (or maybe something from another planet) compared to today’s general reading.